An Electric Power Research Institute-led collaborative utility project, called I4Gen (Insight through the Integration of Information for Intelligent Generation), is exploring new technologies for digitally connecting assets and optimizing plant operations and maintenance. Today some large-scale power generation facilities operate with systems, communications capabilities, and work practices that are decades old. Some of these processes are paper-based, and communication occurs through a variety of disconnected, ad hoc channels such as email, phone, text, radio, paper, and electronic data/entry into various software-based solutions/data management tools. Plant staff may spend a high percentage of their time seeking, assembling, and aggregating data, as well as re-entering data in disconnected systems, which limits the time available to analyze data and develop a comprehensive understanding of an issue or solution. By contrast, the power plant of the future will leverage a digital platform in which information produced in near-real-time is used to estimate equipment condition, and algorithms are employed to forecast a set of operating conditions. 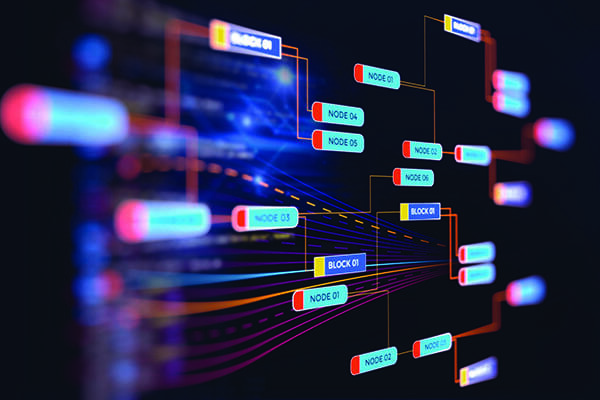 The connected and integrated information networks will automatically integrate data and produce practical information for various systems, functions, analysis, personnel, and actions. The computation, communication, and linking of systems will be embedded with interfaces that are easy to use, but secured at various levels within the network. An open-architecture modular system will allow for "plug-and-play" of new devices, software, and other algorithms regardless of developer or vendor. 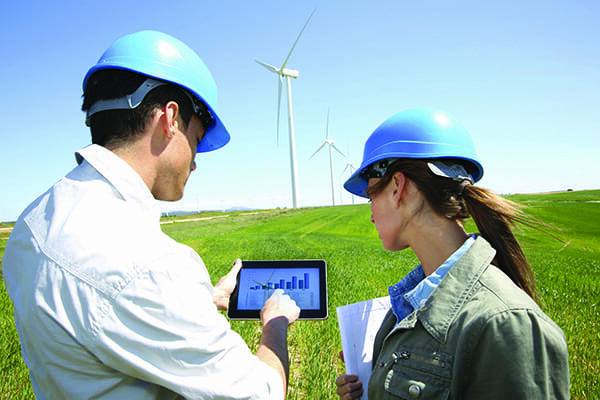 To support the industry's transformation to this digitization of power generation, the Electric Power Research Institute (EPRI) is leading a large-scale, collaborative utility/technology developer project to investigate and demonstrate new technologies for digitally connecting assets and optimizing plant operations and maintenance (O&M). The project is I4Gen (Insight through the Integration of Information for Intelligent Generation). The I4Gen concept is a holistic approach that creates a digitally connected and dynamically optimized power plant by using a modular and scalable platform of tools, techniques, and technologies that integrate the business, maintenance, and operational aspects of generating power. In practice, it is the application of technology to deliver the right information to the right person at the right time to support decisions or actions (Figure 1). I4Gen has assembled a working group to help drive technology development and share insights. Its utility participants include organizations, such as American Electric Power, Duke Energy, Louisville Gas & Electric and Kentucky Utilities (LG&E and KU), Public Service Enterprise Group (PSEG), Salt River Project (SRP), Southern Company, Tennessee Valley Authority (TVA), We Energies, and New York Power Authority. Technology providers include National Instruments, Siemens, and Tata Consultancy Services, which provide services, hardware, and software for the electric power industry. Launched in 2015, the project members have worked collaboratively to develop maturity models for select technology areas, examining analytics for equipment condition assessment, and conducting case studies to demonstrate potential and practical value of these technologies. The I4Gen concept is intended to optimize the use of all relevant information to make better plant-related decisions, whether those decisions are autonomous or by plant operators. Emerging data analytic algorithms are designed to detect equipment degradation at early stages, diagnose the most likely causes, and estimate the remaining time to take action before operability limitations are reached. Successful development of these algorithms can result in increased plant reliability, decreased O&M costs, reduced forced outages, more efficient use of O&M resources, and minimization of the impact resulting from flexible operations. These capabilities are realized through many different avenues. Data can come from plant instrumentation, external sources such as weather predictions, expected demand on the plant and plant flexibility, archived data, equipment designs, and operational specifications. Using I4Gen technologies and tools to develop actionable information and intelligence can improve unit automation and control, elevate the efficiency of energy conversion processes, increase worker effectiveness, minimize equipment failures, contribute to reduced forced outages, and extend unit life. Gains in operational readiness, reliability, availability, proactive planning, and overall productivity are expected to reduce costs, increase availability metrics, and improve unit operations. I4Gen technologies also have the potential to instill a culture of safety by providing greater insight into the health of equipment, and assistance with procedures and maintenance using digital tools to improve adherence to safe work practices. The implementation and benefits of this digital transformation are predicated on the ability to collect, integrate, and analyze data in near-real-time and at various scales. The I4Gen concept can be applied to all types of generating assets. With central power stations, enhancements may be needed in process controls to support operational flexibility. On the other hand, remotely located assets, such as hydroelectric and wind facilities, may develop highly advanced monitoring and diagnostics (M&D) capabilities to support the more-effective use of onsite inspection and maintenance. To succeed, the I4Gen initiative must overcome some challenges, including the sheer volume of data; proprietary legacy systems; the need for enhanced security; inconsistent life-cycle timescales of utility assets and connectivity technologies; rapid technological change; and effective integration of technologies into power plants, including intelligent devices, sensors, analytics, control algorithms, and even grid/customer technologies. Gaining stakeholder support and providing a defensible cost-benefit analysis and return-on-investment estimation are additional challenges. Finally, with connectivity, integrated systems, and deployment of additional field devices, important cybersecurity considerations will arise, in part, due to the increase in attack surfaces. As such, the level of effort associated with maintaining security may also increase. ■ Sensor and emerging measurement technologies. Many new types of sensors are entering the market that are both low-cost and wireless; installation costs can be comparably less if a wireless network is available and powering the sensors can be managed cost-effectively. Other new sensor technology can measure equipment performance parameters very precisely and represent new measurement capability. A number of low-risk opportunities exist to demonstrate new sensor technology and to evaluate the value that the additional data may deliver in terms of greater insights and proactive O&M. ■ Data analytics, integration, and visualization. Technology providers and power generation utilities are working to develop more sophisticated data analysis capabilities built off of or augmenting advanced pattern recognition techniques. Near-term application of analytics is intended to provide guidance to plant operators regarding when maintenance needs to occur. ■ Digital worker technologies. 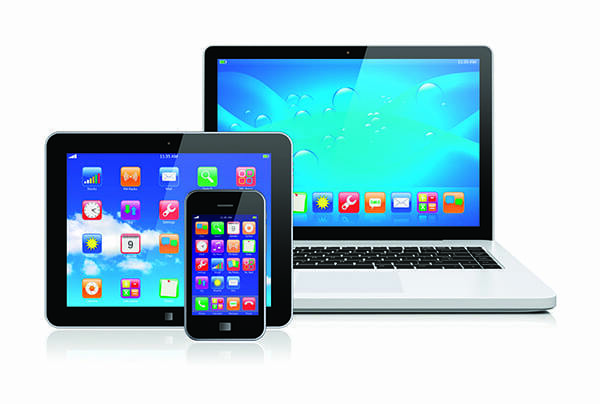 Use of connected mobile devices, tablet computers, wearables, and augmented reality headsets have the potential to enable plant workers to access and use critical data delivered through visually rich and context-sensitive, streaming imagery and audio (Figure 2). Accessing and collecting relevant information and procedures while in the field can improve overall worker effectiveness, which translates into correct, timely, and safe work. ■ Advanced M&D. Expanded and comprehensive monitoring enables the identification and diagnosis of equipment faults and malfunctions prior to failure, which results in avoided costs. Data from sensing and monitoring, combined with diagnostic capability, leads to an understanding of equipment degradation. Remaining equipment/component life can be estimated and predicted through computation, leading to higher levels of reliability and availability of systems and plants. ■ Process control and automation. The ability to control and integrate plant operations supports changing mission profiles, with the added capability of balancing the competing objectives of system performance, environmental performance, and equipment life extension. Process control systems are primarily digitally based systems that are essential for the operation of plants. Enhancements to existing process control systems can lead to immediate performance improvements and profitability. Adopting more advanced control methodologies can support a greater degree of integration and offers the capability to optimize performance. Adopting the I4Gen approach in totality will be a large undertaking. In many cases, a more likely scenario will proceed with adoption of selected digital technology platforms and capabilities over time, with measurable short-term return-on-investment benefits. To help members manage these challenges and develop plans to exploit opportunities in the five application areas, the I4Gen project is developing "maturity models." These models provide stepwise guides toward increasing implementation. ■ Level 1–Offline and Online Measurement. The base level starts with the manual collection of information that is relayed by an online sensor for a measurement taken by hand or visual observation of equipment or component condition, where a sensor could be used but is not present. ■ Level 2–Expanded Online Measurements. The second level expands online sensors, using them for process control and tracking equipment/component condition. Inferential sensing is also applied to calculate values that are not easily gathered directly. ■ Level 3–Pervasive Sensing. The third level brings a step-change increase in wireless sensing capability, including a corresponding decline in sensor implementation costs, and higher levels of distributed sensing as the power of the embedded computing hardware at or near the sensor node grows. This level also represents the implementation of new measurement capabilities for collection of key data from harsh environments and/or higher levels of sensitivity for measurements performed online and at process conditions. ■ Level 4–Smart Systems and Parts. In the fourth and final level of maturity, the trend continues toward high-quality, high-fidelity data through highly distributed sensing and expanded measurement capability. This level also sees an emergence of sensors embedded into components and environments (for example, printed sensors). The maturity models are designed to support utility power plants at various stages of maturity in applying digital and analytical technologies. Whether a utility is at the beginning stages of learning about I4Gen technologies and applications or has already invested in centralized M&D centers or digital worker applications, this project and these maturity models are designed to create opportunities for implementation, derive benefits from implementation, and support the development of industry best practices. Levels in the maturity models may also represent important transition points for an organization that may correspond to increases in infrastructure and computational capabilities that enable implementations of I4Gen technologies. Implementations of I4Gen technologies are expected to require good change-management and process-improvement skills to ensure successful project outcomes. To explore the real-world issues and capabilities of applying new digital technologies and systems, the I4Gen project is sponsoring utility case studies, which demonstrate the technologies in plant environments. A sampling of underway case studies follow. SRP–Sensor Technologies. SRP is testing and demonstrating a new wireless sensor for monitoring balance-of-plant equipment, including condensate pumps and circulating water pumps. The new sensor is expected to gather more vibration data and utilize it for advanced M&D models. In addition, SRP is utilizing existing vibration sensors installed on a steam turbine to feed data to a new vibration diagnostic monitoring system for improved health monitoring, and is upgrading existing vibration sensors on a selective catalytic reduction blower to provide data back to the plant remotely and to the M&D center. LG&E and KU–Data Analytics. To address the issue of locating specific, needed plant data among the myriad sources, Ben Hill, a mechanical engineer at LG&E and KU, led a multidisciplinary team to create a new platform for easily accessing key data sources, including maintenance information, alarms, capital plans, sensor data, and part drawings. The tool, named Analytics Generation Equipment Navigation Tool (AGENT), was built from scratch, and created a tabular model combining all the disparate data sources. The data was structured in such a way as to associate it with the same hierarchy, beginning at the plant level, then subdividing into units, systems, and subsystems. With these associations, users can navigate to a single piece of equipment and quickly view all related data. Although the tool is new and still in its soft-opening phase, it has already demonstrated significant benefits. It has been used for problem-solving, such as root-cause failure analysis, by easily viewing alarms, sensor data, and past work orders all in one location. Additionally, work flows have been created on AGENT to monitor and track issues such as abnormal oil analysis. It has also provided significant time savings when it comes to managing backlogs, late preventive maintenance tasks, and urgent work orders. PSEG Power–Digital Worker Technologies. PSEG Power and EPRI are working together to develop roadmaps in M&D, asset management and planning, and digital worker technologies. In the latter area, PSEG Power will develop digital strategies, enhanced use of selected hardware, development of digital applications, communication infrastructure, training, resource requirements, and long-term management. The ultimate goal is to show the potential of integrating and leveraging digital infrastructure, processes, and technology to support PSEG Power's objectives. TVA–Advanced M&D. TVA has initiated a project to advance integration of equipment reliability (ER) processes and M&D technologies. The utility will review existing ER and M&D practices to identify gaps, as well as remedies to fill those gaps. Once the gap analysis is completed, an EPRI team, in coordination with TVA, will launch a pilot demonstration for steam turbine and generator components at a TVA location. This demonstration will compile Failure Mode Effects Criticality Analysis (FMECA) tables, based on individual maintenance history and industry knowledge, to identify sensor gaps for those assets and to formulate remaining-useful-life (RUL) models. Installation of additional sensors is expected to provide better health monitoring, and successful development of the RUL models will provide better asset management opportunities. –Susan Maley (smaley@epri.com) is principal project manager of the Instrumentation, Controls, and Automation Program at EPRI, and Prayag Parikh (pparikh@epri.com) is a technical leader in the Instrumentation, Controls, and Automation Program at EPRI.